Boat Pro All Operators Must Have the Card NOW!!! The Boat Pro seminar provides you with the opportunity to prepare for your Pleasure Craft Operator Card (PCOC) exam. Clearly the best of the PCOC seminars available, this highly acclaimed seminar was one of the first to be accredited by the Canadian Coast Guard. Crossing the border? 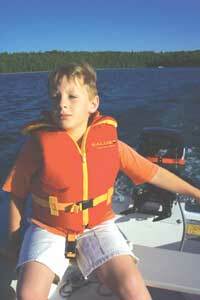 CPS-ECP is one of the few providers of safe boating courses that is approved by both the Canadian Coast Guard and the U.S. National Association of State Boating Law Administrators. Individuals passing the Boat Pro exam may apply for CPS-ECP Associate Membership. A leader in its field, the Boat Pro seminar is a great introduction for your family to boating safety, operation and navigation. Get �The Card� today from CPS-ECP.